Here comes great news for railway travelers! 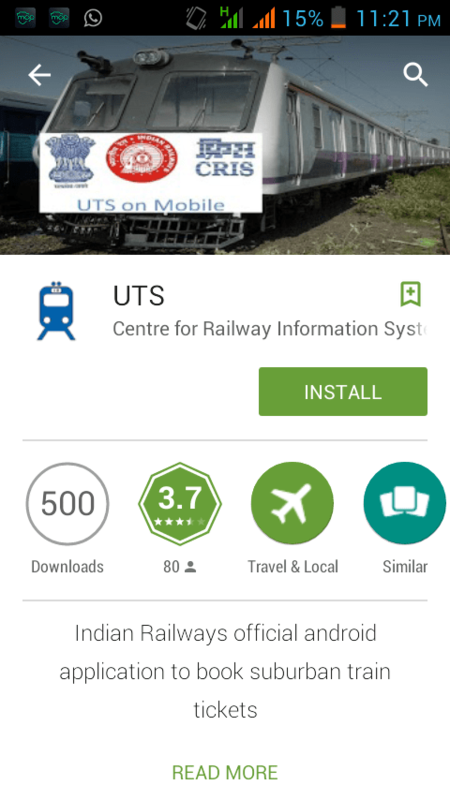 Indian Railway has officially launched its new android app called UTS to Book tickets online. This amazing app is useful for daily suburban users of Chennai and Mumbai. UTS is pretty small in size (2.89 mb) and released on 27 December 2014. Suresh Prabhu (railway officer) was the first person to use this app and he gave speech on efficiency of this new system. How UTS system will work? 1) Now there’s no need to stand in long queue, just use this app and book ticket. 2) Your registered smartphone will receive message containing unique id. 3) At station, you will have to enter your mobile number and id on electronic system. 4) Machine will generate print out of ticket.